It’s no wonder that facilities are putting more emphasis than ever on energy conservation, trying to create a culture of energy saving that extends to all aspects of the facility. The standard suggestions for cutting energy costs in facilities include ideas such as improving lighting and utility management and creating an energy task force or committee. But there is one simple facility energy management idea everyone forgets—insulation energy audits. Why is mechanical insulation so often overlooked when it comes to facility energy management? For many businesses, the answer is simple—out of sight, out of mind. Even if insulated process systems are right in front of people, they often don’t think about them. Insulation has no knobs, buttons or dials—nothing that would make a person stop to consider it regularly. Even when talking about the efficiency of a building’s mechanical systems, insulation is often left out of the discussion. Many consider insulation to be a “one and done” necessity. However, what people don’t realize is that between 10-30% of all insulation becomes damaged or goes missing within 1-3 years of installation. And, because insulation is often “value engineered” as part of a mechanical contract, the reduction in knowledge of the trade has led to underutilization. This has led mechanical insulation to become a “forgotten technology” that is rarely managed or maintained the way it should be. Once you begin thinking critically about the benefits of mechanical insulation in your facility, it becomes more obvious that an insulation upgrade is an ideal place to start for energy-saving initiatives. In order to determine exactly how much energy and money your facility could save by upgrading the insulation system, you will need to undergo a professional insulation energy audit. The simple idea of auditing your facility’s insulation can result in the discovery of huge energy-saving opportunities for your organization. Articles such as “The Top 10 Ways Facilities Can Save Energy” certainly have their place, but updating mechanical insulation is one facility energy management idea that will provide real, measureable ROI. 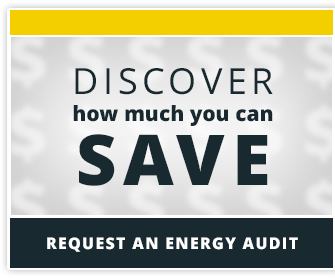 With more facilities than ever making energy savings a top priority, now is the perfect time to perform an insulation energy audit. These audits provide the ideal documentation for proving the value of insulation to decision-makers at a time when energy benchmarking is more critical than ever.